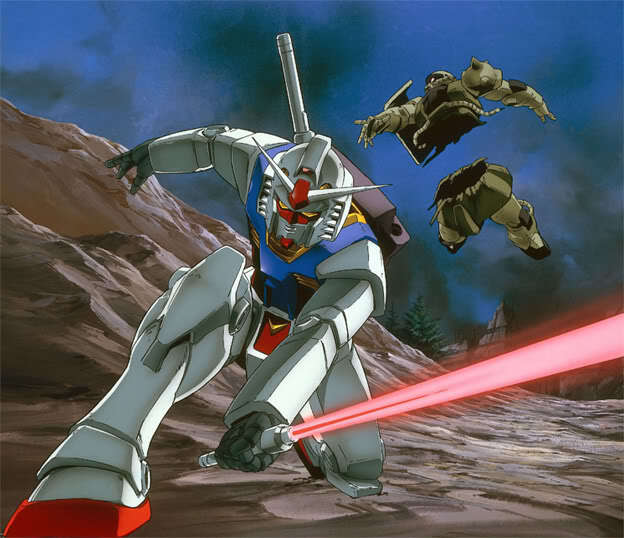 Gundam is BACK. In 2015, Sunrise will start to release (through RightStuf distribution) the entirety of the Gundam franchise. Welcome back... and enjoy the latest news and anime reviews! Welcome back, space cowboys! (Anyone else notice that Cowboy Bebop is finally on Blu-ray?) It's been a while since we last had an Anime Talk column but we have a new compilation ready for everyone to see a sampling of reviews and news over the latest in anime. Find out what we considered to be the best in anime releases in 2014 and what anime releases there are to look forward to in 2015. 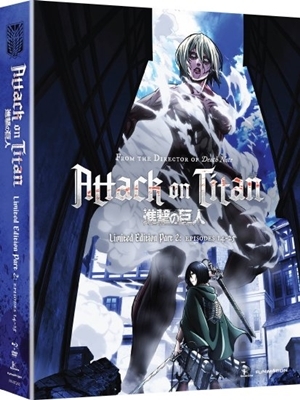 Also see our breakdown of the latest and most notable anime reviews as featured on DVDTalk.com. (It'll help when deciding on what titles are the best new ones on DVD and Blu-ray for you all to check out). As per usual, we hope you have fun with the latest Anime Talk! In the words of Vash the Stampede... PEACE! A short form series (~3-min per episode) of the everyday life of an adorable kitten name Chi. It's a series that is viewable for all ages. Season 2 is streaming on Crunchyroll. More Lupin anime is getting released in North America. Recently announced Jigen's Gravestone (DVD and Blu-ray) will be Discotek's first anime title to receive an English dub. The Castle of Cagliostro gets a license rescue/re-release on DVD (Blu-ray later on). The movie is directed by Hayao Miyazaki and currently streaming on Hulu. We only have seen one SUNRISE property so far (Cowboy Bebop in 2014). Could we see some of the classic titles that were released by Bandai Entertainment? More importantly which of those will get Blu-ray treatment for the first time and/or limited edition releases? Some of those titles include the likes of Banner of the Stars, Code Geass Lelouch of the Rebellion, Escaflowne, My HiME / My Otome, and Outlaw Star. Just like FUNimation, Sentai Filmworks got a share of SUNRISE licenses that were previously released by Bandai Entertainment. Sentai has yet to release any of the titles since the Otakon 2013 announcement. Will see a few of of the titles (including likes of Infinite Ryvius, s-CRY-ed, The Big O, and Zegapain) releases in 2015 (and will Blu-ray treatment/limit edition release be possible)? If you want to check some of the anime series before buying (if available), check out legal streaming sites like Crunchyroll and Hulu (U.S. only). The long awaited arrival of more of the classic and beloved Studio Ghibli films on Blu-ray is a cause for celebration. Whether you import from the Japanese Studio Ghibli line of releases or choose from Disney's domestic stateside releases, bringing more of the awe-inspiring anime masterstrokes from maestro Hayao Miyazaki into a anime collection is surely an easy pick (which one can't be too surprised by!) for a list of the best of the year in anime. Disney has at last released three of Miyazaki's feature-films to Blu-ray in North American and each one proves to be essential: Princess Mononoke, his Japanese folklore epic, the charming Kiki's Delivery Service, and the bittersweet feature film end to his brilliant career, The Wind Rises. Subtitle perfectionists should take note that both Princess Mononoke and Kiki's Delivery Service use dub-based subtitles, and not subtitles based on Hayao Miyazaki's scripts. 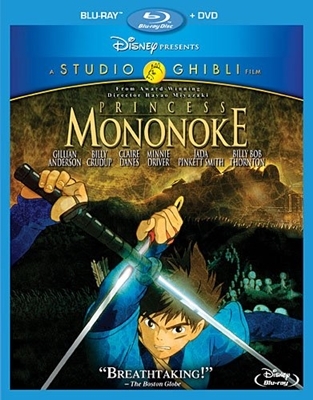 This means the dub written for Princess Mononoke by the acclaimed Neil Gaiman is included, which some might actually consider a worthy inclusion for the disc, but unfortunately Disney has not included multiple viewing options with two sets of subtitles so that a authentic subtitle option is also provided. The Wind Rises, luckily, is fully preserved with an accurate subtitle translation. 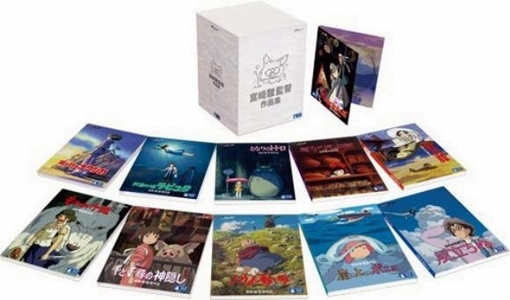 Studio Ghibli of Japan also issued a mammoth set in 2014 containing each of the eleven feature films directed by Hayao Miyazaki across his career: Lupin the Third: The Castle of Cagliostro, Nausicaa of the Valley of the Wind, Laputa: Castle in the Sky, My Neighbor Totoro, Kiki's Delivery Service, Porco Rosso, Princess Mononoke, Spirited Away, Howl's Moving Castle, Ponyo on the Cliff by the Sea, and The Wind Rises. Each film is presented with a top of the line encoding which is superior to previously released editions worldwide. Nausicaa of the Valley of the Wind has even been color corrected to the original artwork that was done by the animators who worked on Nausicaa. As previous home media releases included a red off-color tint which was part of the affected source, which had formerly been color-graded incorrectly), this marks the best presentation worldwide. In order to make the most of the film presentations on this special set, the on-disc supplements were dropped (which were not subtitled anyway) and the bit-rates were greatly expanded. The set also contains the early short film by Miyazaki, Yuki's Sun, which served as his directorial debut and which was previously unavailable in any home media release worldwide. Lastly, the set includes 2 rare episodes of the anime program Akado Suzunosuke: both were completely storyboarded by a young Miyazaki. Regardless of which Blu-ray edition one picks (or perhaps one will even go for multiple editions), bringing more Miyazaki and Ghibli into a home entertainment collection is a significant and splendid thing, indeed. Anime fans like to discuss what productions one might consider to be amongst the top echelon of creations. One thing almost all fans of the medium share in common is the feeling that Shinichirô Watanabe's masterpiece Cowboy Bebop ranks amongst the greatest creations in the history of the filmmaking medium. The series follows bounty hunters Spike, Faye, Jet, Edward, and their lovable doggie Ein as they traverse across the galaxy on their "Cowboy" missions. 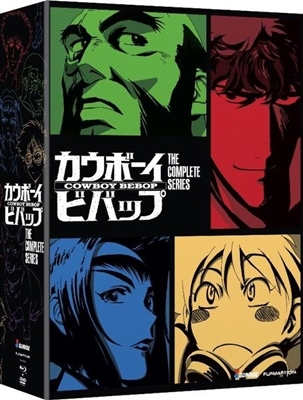 This series manages to be that rare show that has it all: heart, intelligence, comedy, genius, action, adventure, mystery, intrigue, suspense, breathtaking animation, and the greatest soundtrack to any anime series (beautifully composed by the brilliant Yoko Kanno). 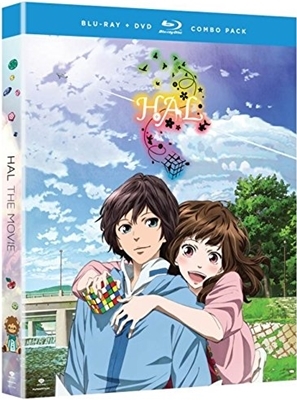 This is one anime series that all fans should make sure to pick up on Blu-ray High Definition. 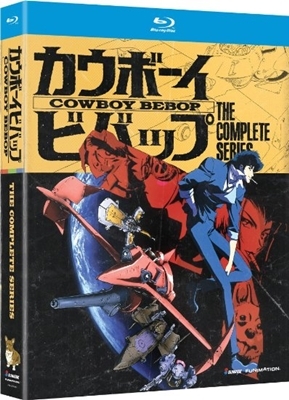 Cowboy Bebop is the most essential anime series ever made and a anime collection missing this gem is certainly incomplete. 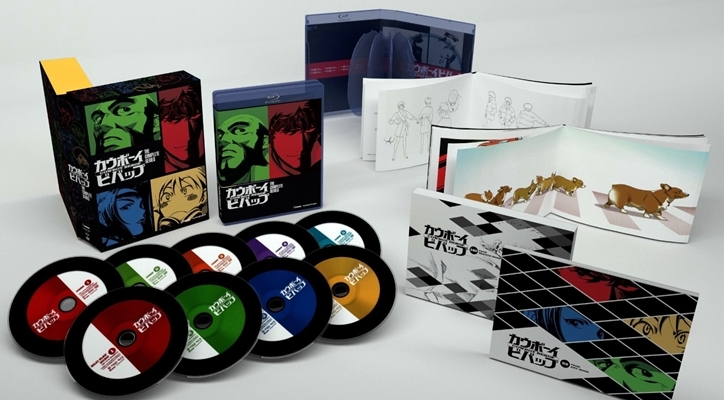 Whether series fans went with ordering the Standard Edition, the Funimation.com exclusive with vinyl-like packaging and artcards, or the Amazon.com Exclusive featuring a color and black-and-white artbook and clamshell artbox), Cowboy Bebop remains an essential. One of the most beloved of all Shojo anime series is the brilliant and family-friendly Cardcaptor Sakura. This gem of a magical-girl series is one of the most beloved of its genre and also one of the most creatively made: featuring wonderful animation and a great story. Join Sakura and the rest as they go on their journey to collect the mystical Clow Cards and help to save the world from bigger threats. (Plus, the series contains a memorable theme song with music by Maaya Sakamoto... which for myself, is another big plus for an already impressive series). 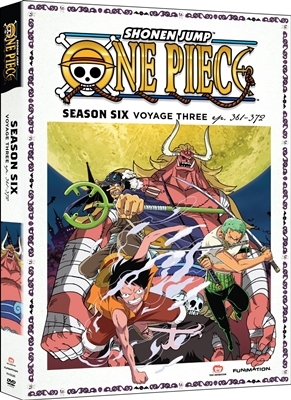 One of the most successful long-form anime series is indisputably One Piece. Though the series hasn't been around as long as The Simpsons has been in America, one can't help but feel that it might become the longest running animated program of all time eventually. The series has had 17 seasons and over 600 episodes (in fact, almost 700 to date). This beloved series is one of the most successful anime series of all time. For the manga publication, the saga has even rivaled in popularity (and sometimes surpassed) Harry Potter for spots on the Japanese all-time bestsellers chart. 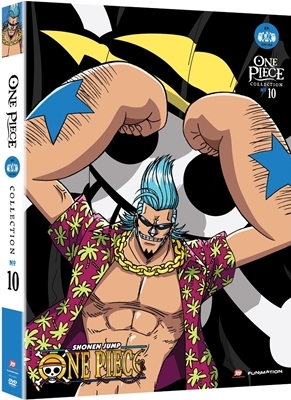 If long-form anime is your thing and you haven't started One Piece yet, there's no better time to than now with the One Piece collection sets offering an affordable and convenient means to experiencing this amazing anime creation. 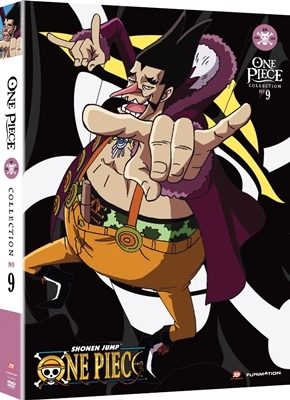 There's also some upcoming mega One Piece Collection box-sets with even more episodes to enjoy! 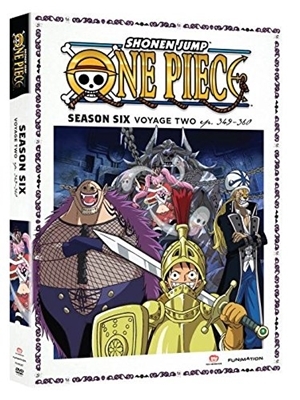 Fans who have been sticking with it longer can enjoy the equally exciting One Piece Voyage sets and get new dubbed episodes even faster than before as Funimation's commitment to One Pieces continues to impress in 2014. 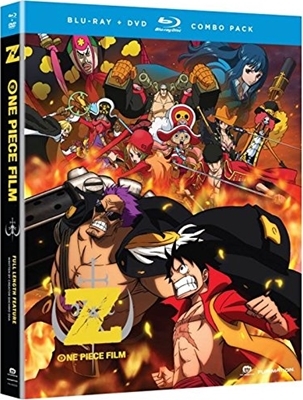 2014 also saw the release of the One Piece: Film Z feature-film, adding another of the theatrical productions to the North American line-up. 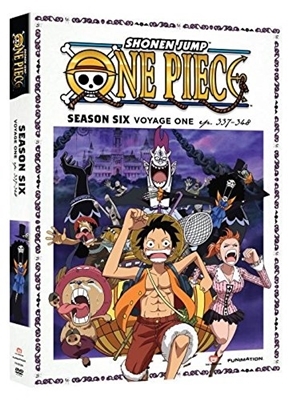 This was a great year for the quirky action-packed and comedic epic extravaganza known as One Piece, with plenty of adventures ahead with Luffy and co. to keep things entertaining in 2015 and beyond. Few anime series have come around in the past several years that have been able to muster up the kind of enthusiasm that Fairy Tail has garnered. 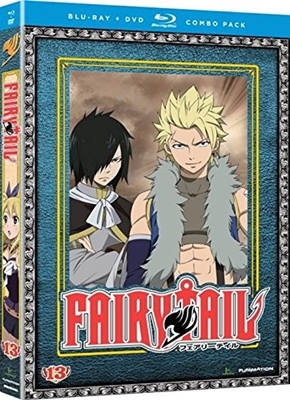 The series has managed to ignite the love of so many anime viewers that it's starting to look like Fairy Tail will become one of the longest running series creations someday. 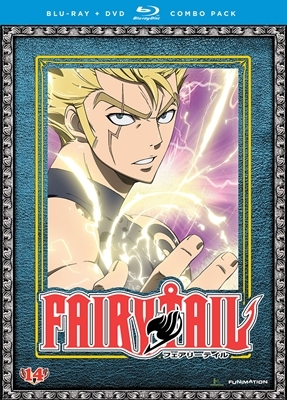 Though the series is currently only at 222 episodes made, Fairy Tail has become a powerhouse and the promise of many more episodes seems to be abundant. Fairy Tail shows no signs of disappearing anytime soon. Funimation has been busy keeping the release of the show consistent as well. With plenty of episodes becoming newly dubbed for the saga's highly dedicated fan-base to enjoy. Whether fans collect the "Part" sets (which are more frequently released) or the re-released collections Fairy Tail will be a blast. 2014 has seen the release of several new Part sets and 2015 promises both Part sets and the continuation of the Collection line. That sounds like a cause for celebration. For the readers looking for the Anime Bargains section, please check out the Official- ANIME Bargains! - Thread at the DVDTalk.com forums. Looking for a sampling of some of the best recent anime releases? Look no further. The DVD Talk writing team has put together a list of some of our favorite titles to recently be released on DVD and/or Blu-ray. Take a look below. Cowboy Bebop is a masterpiece in every sense of the word. It literally has everything you could possibly want in a show; Amazing storytelling, excellent episodic stories that are the best of it's kind, a breathtaking soundtrack, layered, nuanced and well developed characters, it has possibly the best anime dub of all time, and an extremely satisfying conclusion. Cowboy Bebop for me, transcends animation, it's its own genre. There's nothing negative to say about this show, it's one of the best experiences I've ever had watching a show. This deserves no other rating than the DVD Talk Collector's Series. Sailor Moon is a classic: it remains one of the greatest anime creations of all time. It's a wonderful show for anime fans of all ages and it's filled to the brim with great action, adventure, and characters. Anyone who considers themselves an anime fan should see this amazing series. 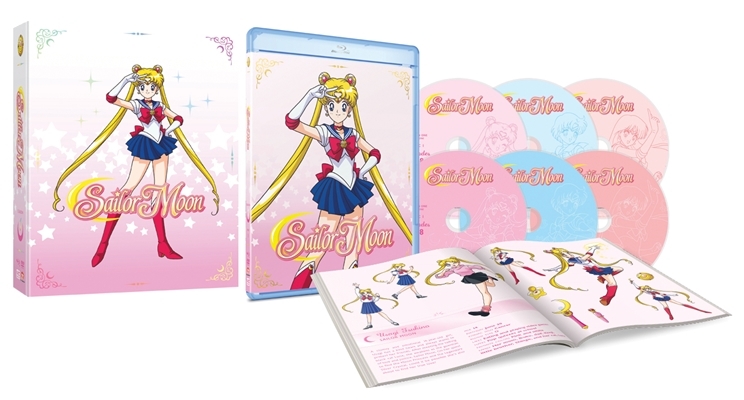 While the presentation of the Blu-ray suffers by having poor video quality the set's new English dub, a translation effort that is more accurate, and the remastered Japanese audio are all impressive attributes of the release. 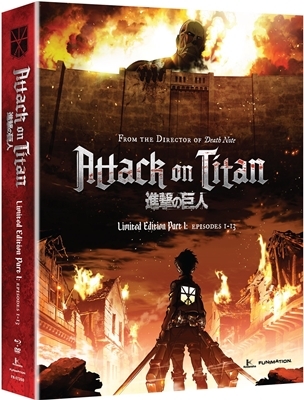 Considering the series is finally going to be made available in the United States in a complete form (season five will become available for the first time in North America), the release also feels worth recommending just based on those merits and because of the strength of the series itself. Even though this is a flawed release, the series is worth recommending and for some potential buyers the positive aspects of the set will outweigh the negatives. Consider both elements and decide on a purchase accordingly. Beautiful. 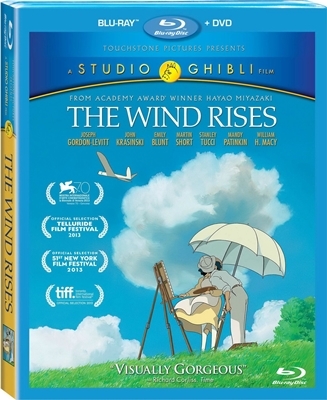 If indeed The Wind Rises winds up being Hayao Miyazaki's final film (as the animation legend insists), he will have gone out on a graceful, high note. Kiki's Delivery Service is a simple story told extremely well, a story of realization and determination that, though about a young witch, is about as grounded and non-magic in a literal sense as you'll see from Hayao Miyazaki. Charming characters adorn the story of Kiki's ups and down in discovering herself, giving the story a rich backdrop as it sweeps us along with her broomstick rides across a gloriously animated landscape. 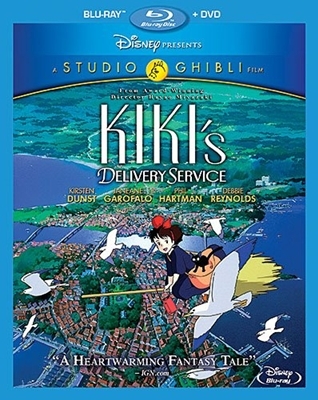 Disney's new Blu-ray presentation of Kiki's Delivery Service casts quite a spell in high-definition, soaring far beyond the flawed DVDs in accurate audiovisual prowess while retaining most of the supplemental goodies from the re-released package, including the storyboard version of the film and several interviews with Miyazaki and his creative team. Princess Mononoke is a visually stunning, accessible, and thought-provoking slice of Japanese animation that remains in the genre's top tier more than 15 years after its original release. It's a sprawling and epic adventure loaded with intrigue, mysticism, and a few potent bursts of grisly action, all framed by some of the finest hand-drawn animation in recent memory. Disney's Blu-ray is unfortunately something of a missed opportunity: the "dubtitles" are a half-step backwards for anyone who favors the original Japanese audio, but an impressive A/V upgrade definitely softens the blow a bit (and we even get a few international extras this time around!). Unless you plan on importing a copy from another region, this is still a safe bet...providing the dubtitles aren't a deal-breaker, of course. 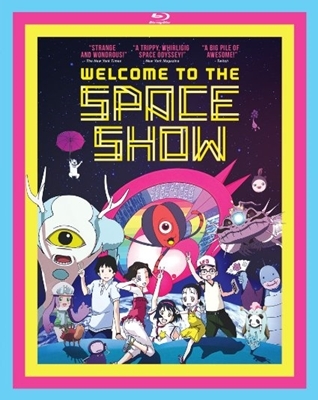 Although it's got a fair share of shortcomings, fans of animation will want to check out Welcome to the Space Show just to see the sheer volume of visual and conceptual creativity on hand, which bursts from this film like a jack-in-the-box. The film can be overwhelming at times, but even the slight sickness of taking in so much cinematic sugar won't dampen the overall experience. 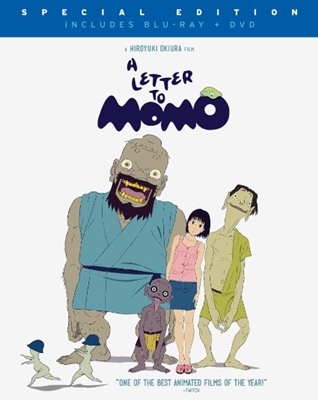 A Letter to Momo down to it's foundation is a breathtaking achievement in animation that doesn't come around very often. The visuals are stunning, it has a beautiful story, well rounded characters, and a great resolution that will leave you satisfied and maybe a little teary eyed. 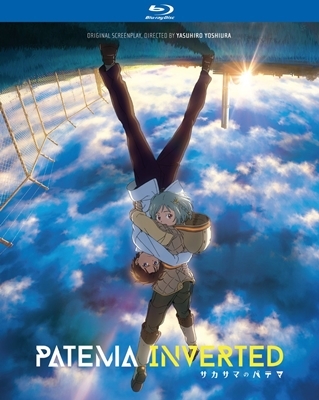 Like many sci-fi and fantasy films before it (animated or otherwise), Patema Inverted takes a rather conventional story and simply places it in a new and unusual environment. Unfortunately, the lack of an interesting villain and a deflated third act almost spoil the party, but the film's interesting premise and fantastic visuals manage to save what's left. With that said, I could definitely see Patema Inverted as an accessible "gateway drug" for those relatively new to anime, despite some of the film's fundamental shortcomings. Cinedigm's Blu-ray package is slightly above average with a few thoughtful touches, including two high quality audio tracks and separate subtitles for each one, as well as a handful of appropriate bonus features. 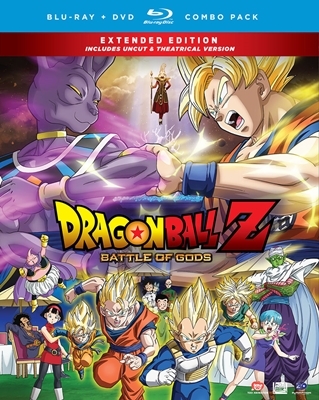 Dragon Ball Z: Battle of Gods is one hell of a fun flick. For any fan of the Dragon Ball franchise, you need to check it out. The brand new film takes all of the best elements of both Dragon Ball and Dragon Ball Z, combines them and the result is a film full of nostalgia, fun characters, some legitimate laugh out loud moments (although a lot do fall flat at the same time), and slick action sequences. It's a film that showcases perfectly why the Dragon Ball franchise has such long lasting popularity. 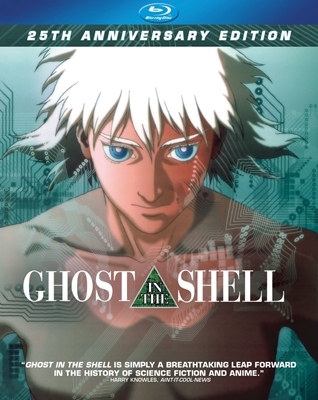 Without question, Ghost in the Shell is a unique and highly influential slice of Japanese animation that, in almost every regard, has aged quite well during the last 19 years. It's definitely a little overstuffed (even at less than 90 minutes), but the film's twisting plot and mind-bending technology---combined with the film's ambitious visual effects---make this a sporadically satisfying feast for the eyes, ears, and brain, though the sensory experience largely overshadows most of its overcooked dialogue. Anchor Bay's "25th Anniversary" Blu-ray, unfortunately, falls a little short: the A/V is passable with mild reservations, but the lack of new and vintage extras is a total disappointment and almost a deal-breaker. Still, I'd imagine that die-hard fans of Ghost in the Shell will just be happy to have the original "non-2.0" version in 1080p...so if $20 sounds like a fair price for 83 minutes of game-changing animation, it probably is. One Piece: Film Z is a solid film. No where near the quality of Strong World but still a good entry. The usual charming cast of characters, a somewhat decent villain, fantastic dub, and the excellent action carry this film. 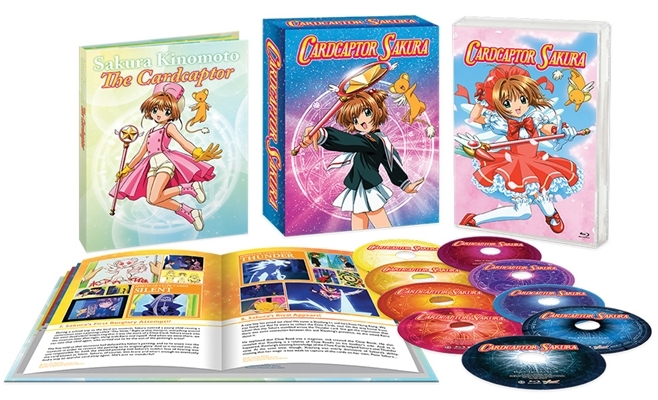 Cardcaptor Sakura has been one of the most discussed titles regarding the question of whether or not the series would ever get to receive a domestic Blu-ray release. NIS America has done fans of this classic series a solid with the license rescue and release of the entire show in high definition in one swoop with this deluxe premium edition set. 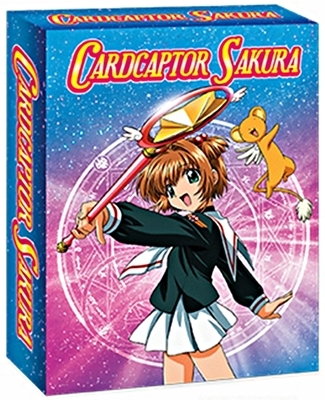 I once dreamed that a complete Blu-ray set of Cardcaptor Sakura would be released -- and that it would be released stateside from NIS America, as one of the best anime companies around -- and I am thrilled that this dream came true. While it's not a set that's absolutely perfect in every regard, this is still undeniably one of the best releases of the entire year. Even having this beloved classic anime series license rescued is great news and a huge deal. It's wonderful that NIS America has made such a strong effort to bring to North America the Japanese Blu-ray presentation of Cardcaptor Sakura. With all 70 episodes of the series (with its three season run), the best presentation of Cardcaptor Sakura to date, a solid lossless Japanese audio presentation, the most complete English dub made, and a gorgeously designed art-box and artbook containing a complete episode guide to the entire series, NIS America's Cardcaptor Sakura - Complete Series (Premium Edition) set is a must own for dedicated anime collector's and fans of the show. Hal is a beautifully done story from start to finish, with characters you can really connect to from your emotional core. At only 56 minutes in length, it's a bit short, but it will tug at your heart strings nonetheless. It has well fleshed out characters and a love story that rivals any you've seen in a anime film prior. This is a film I'd recommend to anyone. 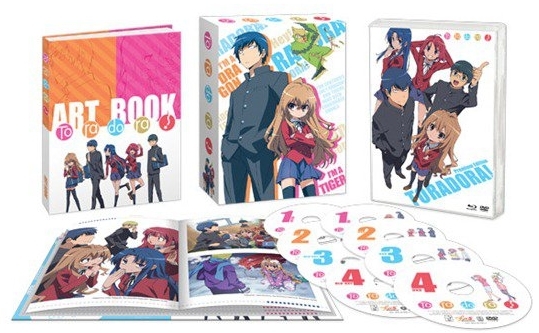 If I were to recommend only one Slice of life/Romantic comedy anime title to someone, it would be Toradora! While it did execute some clichés throughout the series, the writers would cleverly put a spin on them and use them to their advantage perfectly. I was glued to the screen by the end of the first episode and it didn't let me go until the last screenshot faded away of the OVA episode. The series was filled with amazing characters, character development, funny moments and a fantastic love story. Toradora! is simply a masterpiece in the romantic comedy genre. THIS is how you do a love story correctly. While I won't go so far as to say that Attack on Titan is the best anime ever, it is the best that I've seen in a while. Filled with some very frantic action, an intense story, and some truly surprising twists, it's a show that anime fans should not miss. Though this second set doesn't quite pack the wallop that the first one did, it's still a pretty decent show. The lack of resolution will disappoint some viewers but even with that the program gives you quite a ride.